Toyota believes that no matter the destination, everyone deserves to arrive safely. Toyota Safety SenseTM (TSS) offers an advanced suite of safety features standard on virtually all models on Autumn 2017. Everyone deserves to arrive safely. Toyota Safety Sense C comes with features like: automatic high beam, lane departure alert, and pre-collision system. Everyone deserves to arrive safely. 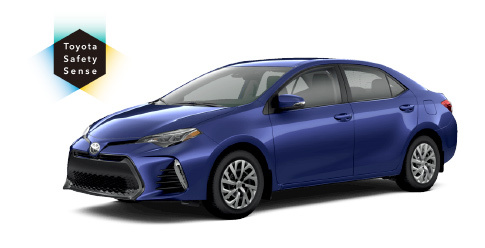 Toyota Safety Sense P comes with features like: automatic high beam, lane departure alert, pre-collision system with pedestrian detection, and dynamic radar cruise control. In certain conditions, the Pre-collision System with Pedestrian Detection (PCS w/PD) may also help to detect pedestrians and help prevent or mitigate a collision.